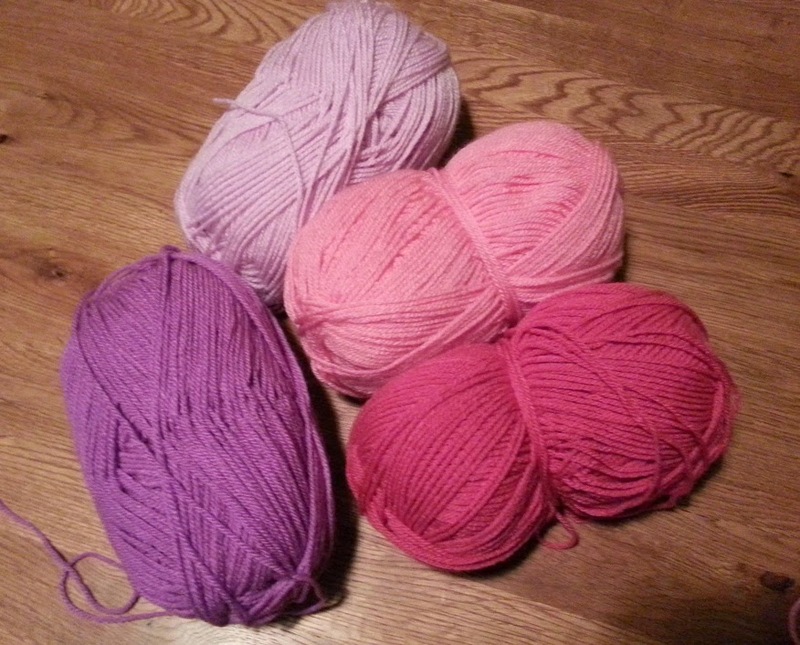 Now that I have put down the white cotton from my latest project I have been revelling in pretty, pretty pink and purple yarn! It's only Stylecraft special DK but it's so lovely and squidgy after all that cotton, it also feels like chunky on my hook after working with such fine yarn. 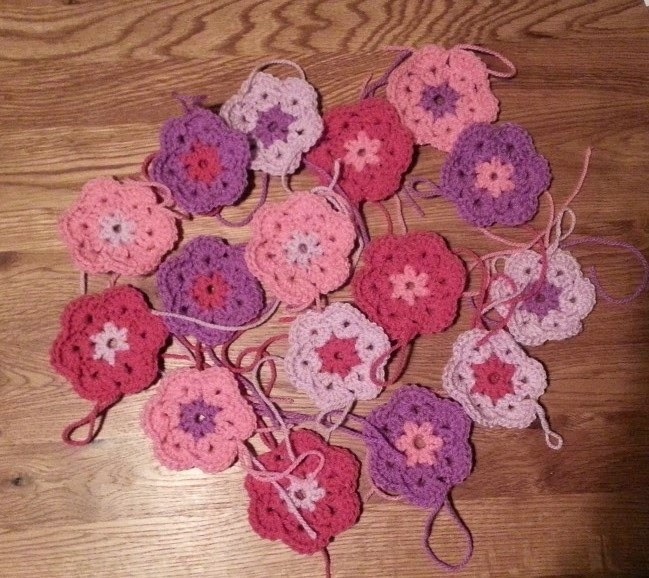 I haven't made as much progress as I would have liked with giraffe number two but I've made a good start with the hexagons, only another 20 or so more flowers to make and I can start hooking them all together. First things first though, I have another Tunisian workshop on Saturday so lots of pattern printing to do. I will be trialing a new pattern with my workshopees and I realised I have only made it once and it might be a good idea to make another to see if it all works OK! Nearly there with it, just a few more rounds to go and I think it's working. It's Bonfire night here in the UK and I have to say it is probably my least favourite night of the year. I know, I am such a spoil sport. I do love the idea of standing around a big fire, toasting marshmallows and watching all the fireworks but I can't stand the bangs! Every time one of them goes off I jump out of my skin (such a wuss!) 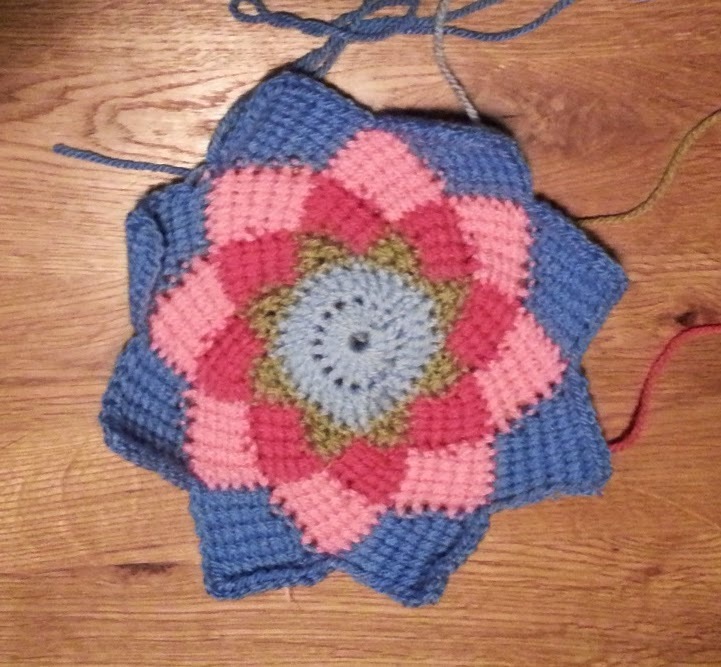 so I am staying in tonight with my cat who is equally as fond of the noises and going to crack on with some more flowers and finish of this pattern trial.